The Big Quiz Thing: Massive live-comedy prize haul this Wednesday! Massive live-comedy prize haul this Wednesday! That's an awesome title, isn't it? 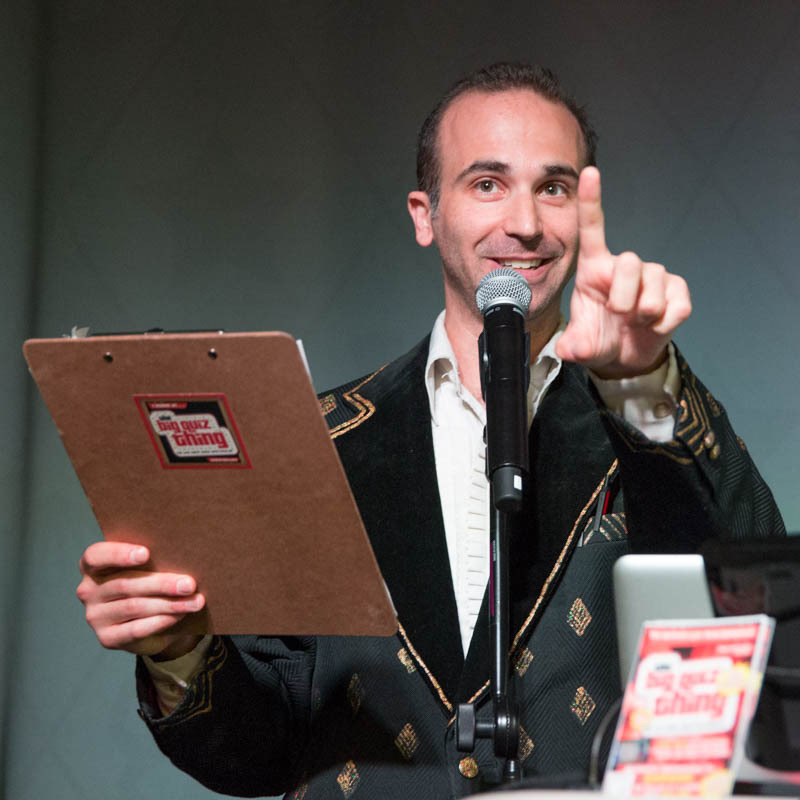 As I've told you again and again, this Wednesday is a special Big Quiz Thing, the Summer Fun Spectacular, at 92YTribeca (buy advance tix here). When we booked the date, the venue generously agreed to kick in for the prize stash, and they weren't kidding: We'll be giving away a pair to each July show in the venue's "Comedy Below Canal" series. Fourteen tickets, people! The complete details are here, but that's two tickets each to two editions of the News Distillery (like a live Wait, Wait, Don't Tell Me, starring friend of the quiz Alison Rosen), two nights of RISK! (a great storytelling series, one episode featuring another FOQ, Christian Finnegan), three Comedy Below Canal stand-up showcases (one features Leo Allen, a criminally underrated stand-up), and one Channel 101 (fake-pilot screening series, produced by yet another FOQ, Tony Carnevale; I think you can tell by now that I use the word friend in a somewhat loose sense, but they have all at least played the Big Quiz Thing at some point, so there). The dates vary from July 8 through 29, but it's well worth coming back to 92YT—the all-dairy café has some damn fine lemonade.